We arrive at your house with a neat courteous uniformed well-spoken professional crew that is centered on customer service. No tree is too large. 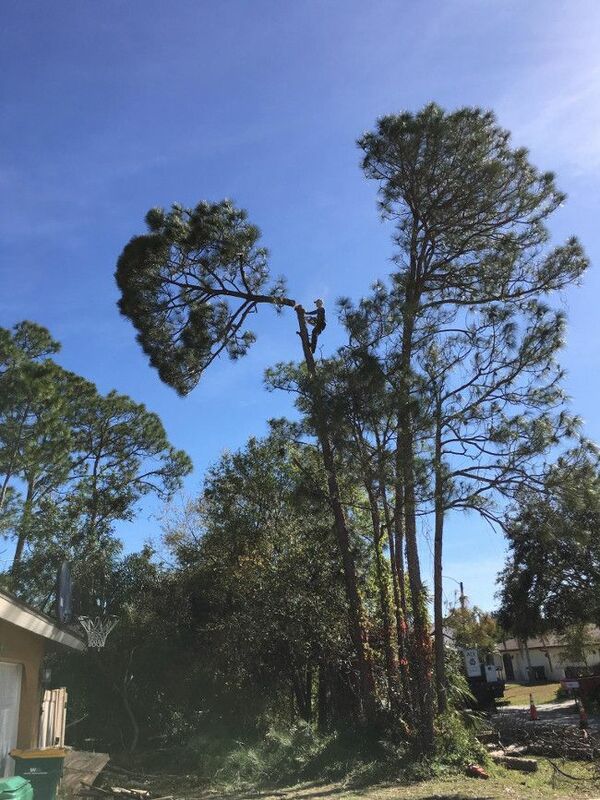 We specialize in pine tree, oak tree, and palm tree trimming and removal. 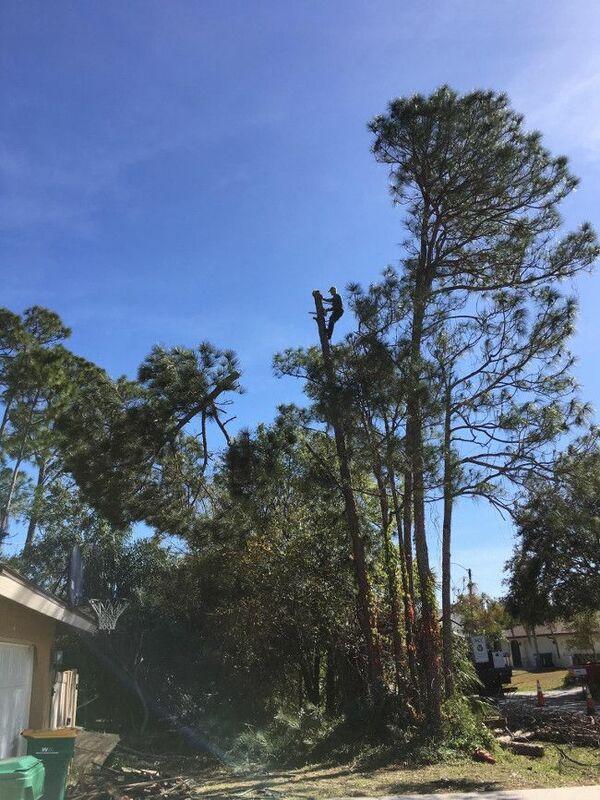 Our in-house staff of tree climbers arborist and equipment operators can safely and effectively remove any tree or group of trees. Whether you have a single palm tree to remove or a community-wide hardwood tree trimming contract, we would love the opportunity to talk to you about your tree project.